The title of the Office of the Apostle or Apostolic Anointing is often abused, misinterpreted or overlooked. The duties include but are not limited to the following. To Gather, to Import, to Mobilize, to Bring Government and Order, to Judge, to Reform, to Build, to Bring Revelation, to Be a Spiritual Parent, to Lay Foundations, to Bring New Moves of God, to Be a Bridge, to Establish Truth, to Be Pioneers, to Legislate, to Execute, to Be Defenders of The Faith, to Oversee, to Invade, to War, to Enforce, to Convert, to Develop Leaders, to Confront False Teachers, to Finish. First and foremost let us remember that Paul called himself a servant, and a father, and that he paid a price most are not willing to pay. To much emphasis is being placed on holding a title, and not enough on walking in the office. This is why it is important to know that you are called by God and confirmation is given by many Prophetic voices. The sad fact is people are purchasing titles, usurping titles, and commandeering titles for personal glory instead of Gods glory. 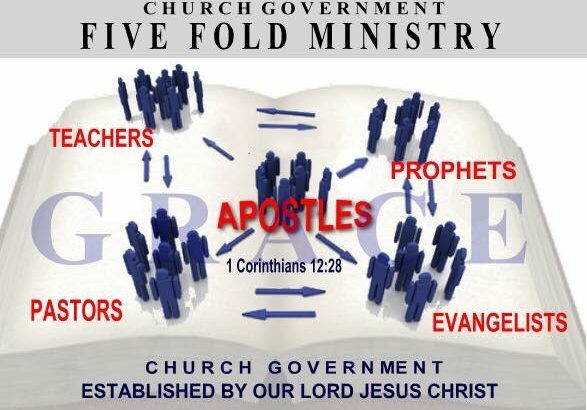 An Apostle is one who has been especially called and sent by Christ to have the spiritual authority, character, gifts and abilities to reach and establish people in Kingdom truth and order. They ground the church in sound biblical teaching, and raise up Sons and Daughters to duplicate themselves into adulthood. Let’s read Paul’s words 2 Corinthians‬ ‭11:23-29‬ ‭in the MSG‬‬ translation. “Since you admire the egomaniacs of the pulpit so much (remember, this is your old friend, the fool, talking), let me try my hand at it. Do they brag of being Hebrews, Israelites, the pure race of Abraham? I’m their match. Are they servants of Christ? I can go them one better. (I can’t believe I’m saying these things. It’s crazy to talk this way! But I started, and I’m going to finish.) I’ve worked much harder, been jailed more often, beaten up more times than I can count, and at death’s door time after time. I’ve been flogged five times with the Jews’ thirty-nine lashes, beaten by Roman rods three times, pummeled with rocks once. I’ve been shipwrecked three times, and immersed in the open sea for a night and a day. In hard traveling year in and year out, I’ve had to ford rivers, fend off robbers, struggle with friends, struggle with foes. I’ve been at risk in the city, at risk in the country, endangered by desert sun and sea storm, and betrayed by those I thought were my brothers. I’ve known drudgery and hard labor, many a long and lonely night without sleep, many a missed meal, blasted by the cold, naked to the weather. Let’s explore further each of the duties and roles below, noting that this is not an exhaustive list but an overview of possibilities. 25 Duties and Roles of the Apostle. 3. To Mobilize: To stir up and mobilize. 5. To Judge: To bring judgement and correction to the church. Bring the good get rid of the bad and address sin. 1 Cor. ‬5:3‬ ‭AMP As for my attitude, though I am absent [from you] in body, I am present in spirit, and I have already decided and passed judgment, as if actually present. 11. To Bring New Moves of God: To Bring new moves to God, to be a catalyst/ a person or thing that precipitates an event, release new gifts, and initiate new messages on a new move of God. To be a fire starter. 12. To be a Bridge: Apostles are raised up during times of transition. Leaders need to be refreshed by each other and intercessors for this reason. 13. To Establish Truth: To Bring new revelation and new moves of God to the church. New moves of the Spirit. 14. To be Pioneers: Moving to new territories. Move in the natural and supernatural. 16. To Execute: execute plans and purposes of God’s church. Carry out perform or do. Necessary to perform to carry out the great commission. 19. To Invade: Apostles are embed and dedicated with an ability to invade new territories. 24. To Confront False Teachers: An Apostle is a confrontational anointing. We are to confront false teachers witchcraft and immorality. Galatians 2:11 “But when Cephas (Peter) came to Antioch, I protested and opposed him to his face [concerning his conduct there], for he was blameable and stood condemned. Uncategorized Apostolic, christian, dunamis, heaven, Jesus, ministry, prophetic, religion, salvation. permalink.